Hi! 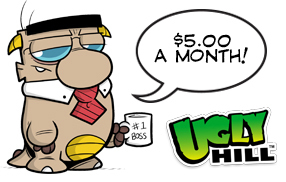 My name is Paul Southworth, and I've created several features since I started putting comics online in the late 90s, including "Krazy Larry", "Black Plague", "Ugly Hill," and "Reptilis Rex" (under the pen name William Tallman). 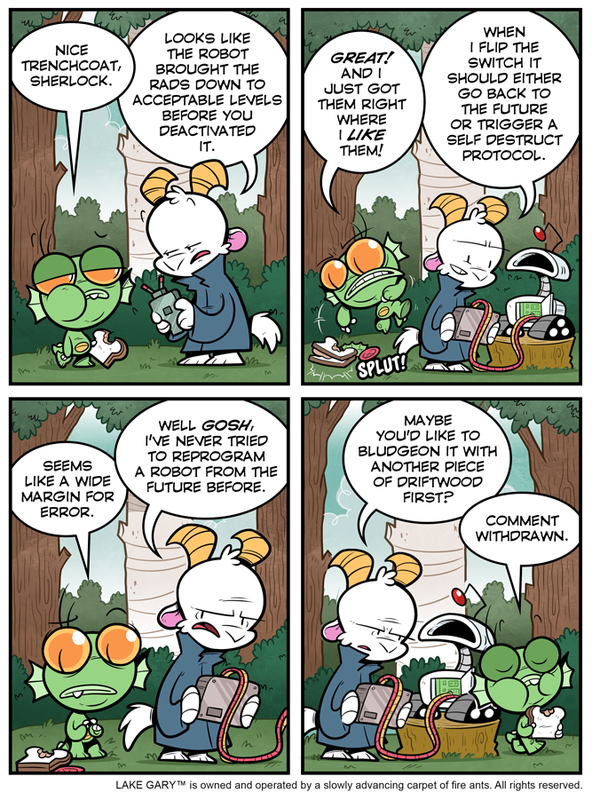 I also co-created the tech comic "Not Invented Here" with Bill Barnes and designed "The Morning After" for Threadless, among many other design projects. Now I'm creating a new comic called "Lake Gary," and I'd appreciate your support! 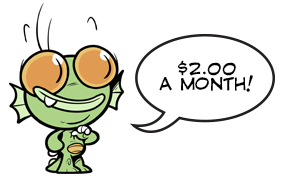 Over the last 20 years, I've written and drawn a lot of comics, but I've also gotten married and had three kids in addition to working full time, and time is suddenly a precious commodity, as those of you with children well know! 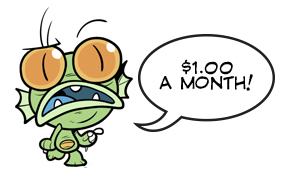 I love comics and I want to keep making them, and every dollar you contribute helps me justify the time and energy spent doing what I love. A thank you, from me, for supporting my work! Thank you! Access to “Lake Gary” comics the day before they go up on the website! 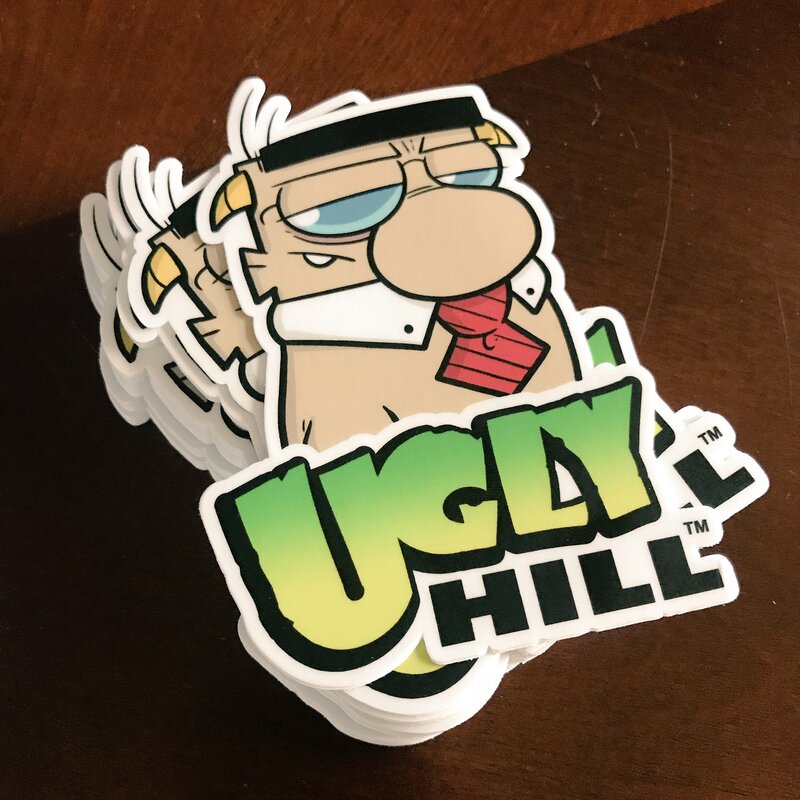 Ugly Hill Sticker! This 4"x2.5" sticker is only available through Patreon! Please provide a shipping address in the space provided (sticker will ship after you've been billed for at least one billing cycle). Unlocks a monthly "Lake Gary" desktop/mobile phone wallpaper for all patrons!